No matter what kind of legal problem you face, the trustworthy counsel of an experienced attorney is an invaluable asset. 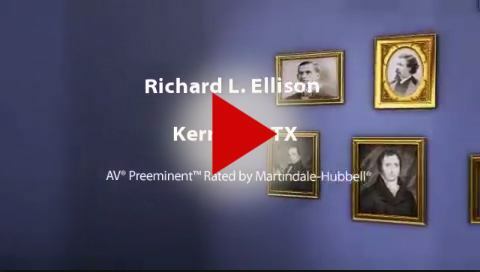 At the Law Firm of Richard L. Ellison, P.C., I draw upon more than 40 years of experience representing people in Kerrville and the surrounding areas in criminal, civil, personal injury and bankruptcy cases. 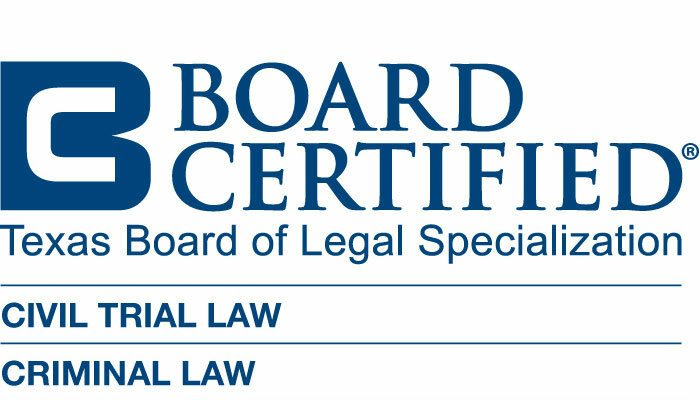 As the only attorney in Texas who is board certified by the Texas Board of Legal Specialization in Civil Trial Law and Criminal Law — and the only board certified criminal defense lawyer in the Texas Hill Country — I am proud to offer my clients the best of both worlds: big-firm experience delivered with small-firm dedication. Decisive. I have a long history of proven results both in and out of the courtroom. That experience translates into a zealous protection of your legal rights and an aggressive approach to fighting for your best interests. Formidable. I have worked on all types of criminal and civil cases, so I know the law, procedures and courtroom personnel as well as the legal strategies necessary to get results. Thorough. Throughout every stage of your case, whether in the criminal justice or civil justice system, I work diligently to help you achieve the most positive results possible. I regularly represent clients in the 216th Judicial District (Kerr, Gillespie, Bandera and Kendall counties) and the 198th District (Kimble, Mason, McCulloch, Edwards and Menard counties) as well as Travis and Bexar counties. Criminal defense. I vigorously defend clients in all types of criminal cases, including DUI, DWI, drug charges, assault and battery, sexual assault, murder, theft crimes, weapons charges, probation violations, and federal and state asset forfeiture recovery. Civil litigation. I aggressively represent individuals and businesses in contract claims, property matters, employment disputes and a variety of other types of civil litigation. Personal injury. I seek justice and compensation for those who have suffered catastrophic injuries in auto accidents or oil field accidents or through the negligence or actions of a person or organization. Bankruptcy. As a debt relief agency, my law firm assists those who are seeking to overcome their debts through bankruptcy and free themselves of overwhelming financial obligations. I have also earned an AV® Preeminent™ Peer Review Rating by Martindale-Hubbell® for professionalism and ethics as judged by attorneys familiar with my work. At the Law Firm of Richard L. Ellison, P.C., I am resolute in my advocacy for my clients. I encourage you to contact me to discuss your case as soon as possible so that I can take legal action on your behalf. To schedule a free consultation at my Kerrville office, call me at 844-337-5819 or contact me online.